The Inverse ATASCII blog was created to support the podcast of the same name. 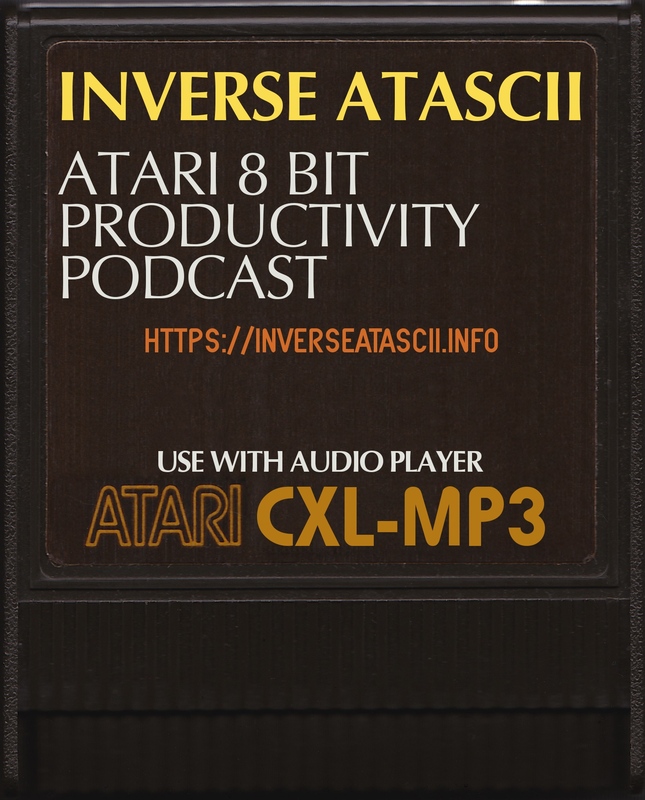 The podcast discusses productivity software, hardware that supports productivity, and modern life with vintage Atari computers. This is the primary show support site and here you will find all the show notes and any supporting media for each podcast episode. Why Inverse ATASCII? The content here is unlike many other podcasts. You won’t find game summaries, reviews, or hardware specifications here. Not that those are bad, but that subject matter is adequately covered. And for those that don’t know, ATASCII is a reference to Atari ASCII serving to reference the content is Atari computer related. The 1632 ATARI podcaST podcast is focused on re-discovering the Atari ST 16/32 bit home computer. Each episode will cover an issue of a classic ST related magazine, as well as technical details about the systems, accessories, capabilities, software, and more (as I discover them). Each show will have a hardware and software product picked from the magazine which will be discussed and reviewed where possible. This is the primary show support site and here you will find all the show notes and any supporting media for each podcast episode. What you won’t find are game reviews. Not that those are bad, I’m just not interested in reviewing games. If you enjoy the podcasts and content, you might also like the content in my blog Unfinished Bitness found here: http://www.unfinishedbitness.info. Thanks for listening, and enjoy the shows!